Inspired by Pujya Gurudev Swami Chinmayananda’s ideals and talks, Swami Ramakrishnananda joined the Tamil Vedanta Course at Tamaraipakkam near Chennai, under the guidance of Swami Sridharananda. He was initiated as Brahmachari Gagan Chaitanya. 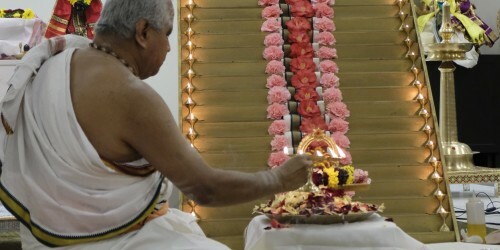 He has served in Trichy, Sri Lanka, Coimbatore, Reunion Island since 1995, and at present he is the Acharya of Chinmaya Mission, Nagapattinam. 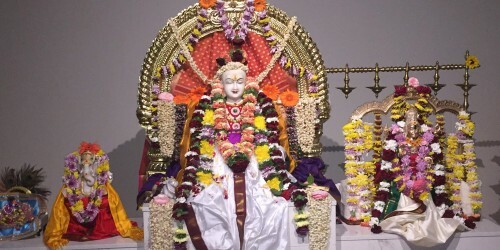 In the year 2010 he was blessed with Sannyāsa dīkṣā as Swami Ramakrishnananda. 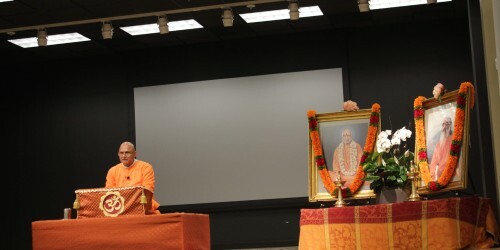 Swamiji is an excellent orator and has a very unique and jovial way of teaching. He is very popular among the young and the old alike. He is passionate about Sanskrit and his hallmark is the “Easy Sanskrit Course” which has come as an aid for students in learning Sanskrit. Chinmaya International Foundation (CIF) offers this Sanskrit course in online, postal and study kit modes for which the syllabus was designed by Swami Ramakrishnananda.